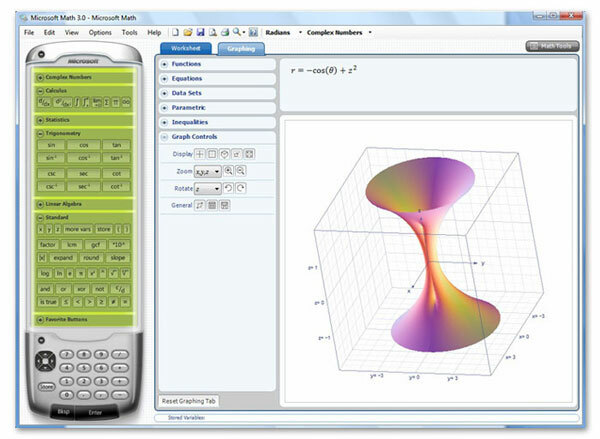 Microsoft Mathematics 4.0 is now available for free download. Microsoft Mathematics provides a set of mathematical tools that helps both college and school students to solve complex calculation quickly and easily. 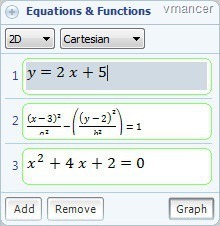 This tool is very useful for doing math and science studies. It is designed to offer users a graphing calculator capable of plotting both in 2D and 3D, but also offering equation solving capabilities along with step-by-step instructions of the process. With Microsoft Mathematics, students can learn to solve equations step-by-step while gaining a better understanding of fundamental concepts in pre-algebra, algebra, trigonometry, physics, chemistry, and calculus. 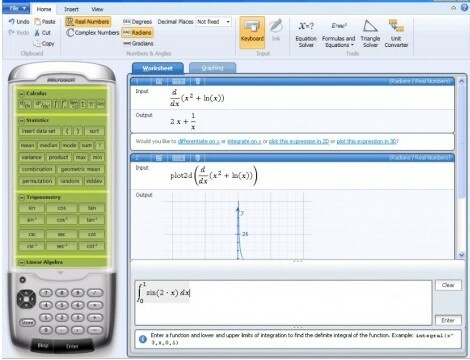 “Microsoft Mathematics includes a full-featured graphing calculator that’s designed to work just like a handheld calculator. Additional math tools help you evaluate triangles, convert from one system of units to another, and solve systems of equations”. It comes with cool Graphical user Interface and very user friendly. Download it from following link.